Washington: According to a new study, married men and women have better physical and mental health at older ages than unmarried people. The study, published in the journal PLOS One, found that married people, besides having a better health, specifically walk faster and have a stronger grip, reported CNN. 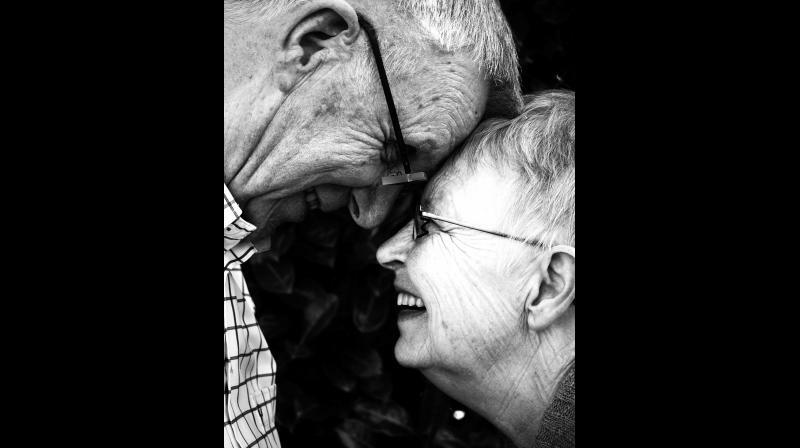 The study, led by Natasha Wood from University College London's Institute of Education, found researchers looking into the association between marital status and the ability to carry out everyday tasks in later life. The team elected focussed on two indicators: walking speed and grip strength. "Walking speed is an overall measure of health, which includes lots of things like balance, agility and speed, while grip strength reflects upper body strength," Wood explained. They analysed data from two existing studies of older people and their physical capability. Wealth, she explained, can impact health in a variety of ways. According to researchers, wealthier people live in better surroundings, they don't have the day-to-day stresses associated with not having enough money and they probably eat more nutritious food, as they can afford it. Furthermore, that have access to better health care, and they may have larger social networks and enjoy leisure activities. "Consequently, they have better overall mental and physical health, and all of these things are associated with better physical capability," Wood said. The results of the research could have significant implications for older people's health as marriage rates decline, Wood posted.